Windy City Grille in Hernando and Como, Mississippi, holds exciting trivia night and live music at both restaurants every week. Diners can also take advantage of our free Wi-Fi™ on our casual locations. Read more about the special events featured in our restaurants. • Live Music Every Friday and Saturday • Live Crayfish Boil Cooking Event Every Wednesday at 5:30 p.m.
• Motorcycle Runs Every Wednesday at 5:30 p.m. Serving clients for more than five years, our Hernando restaurant can seat up to 150 guests. If your family is looking for a non-smoking restaurant, we recommend this location that has a more family-friendly atmosphere. Trivia night in the Hernando restaurant is held every Tuesday, and live music is every Wednesday. 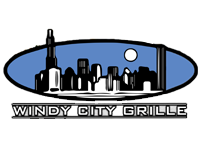 Windy City Grille offers delivery services in our Hernando restaurant only through GoWaiter™. 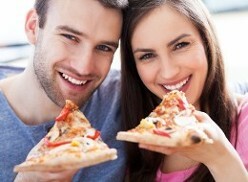 The Como location does not offer delivery services; however; we can provide additional information for requests. Contact us today in Como, Mississippi, to inquire about our trivia night and live music lineup.